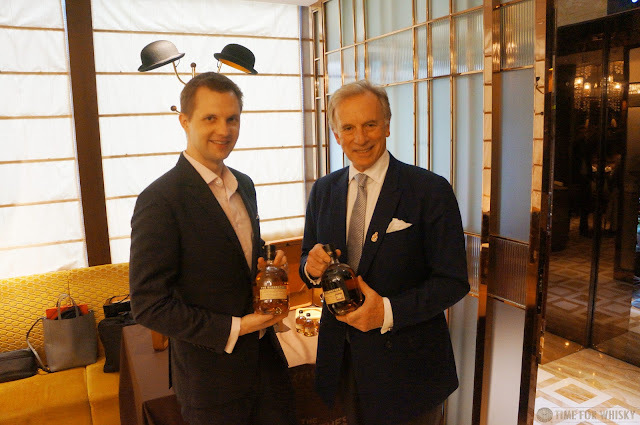 Last week I was thrilled to be invited to lunch with Ronnie Cox (The Glenrothes' and Berry Bros & Rudd's Brand Heritage Director (Spirits), and Global Brand Ambassador for The Glenrothes), to celebrate the launch of both the Vintage Reserve 12 year old, an Asia-only release, and Peated Cask Reserve. It'd been almost two years since I last caught up with Ronnie in Hong Kong, so I was keen to hear him present these new expressions. Held at Hong Kong's Lai Bun Fu, the lunch saw a small group of media enjoy an 8 course traditional Cantonese meal with a selection of The Glenrothes - served of course in those great little Glenrothes mini- Glencairn-esque glasses! 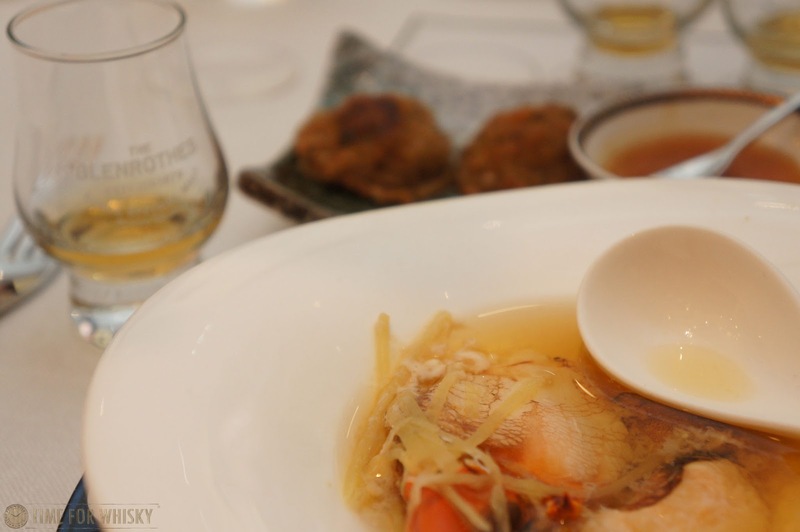 First on the menu was Steamed crab claw with chinese wine paired with The Glenrothes Select Reserve. A lighter whisky, with a little creaminess which I found worked well with the wine. None of the flavours dominated here and all worked together in harmony. 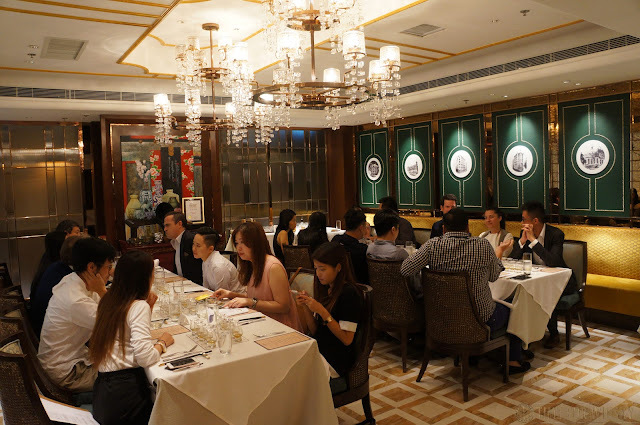 Moving along, the second course saw reliable old favourite The Glenrothes Vintage 2001 matched with Steamed Choi Sum with preserved vegetables, stir-fried Kale with shrimp paste. Described by Ronnie as a "conversational" whisky, I found it to be exactly that - an easy-going, enjoyable sipping whisky. It paired well with the dish (they all did) but I didn't find any particular standout highlights about the pairing (unlike some others). 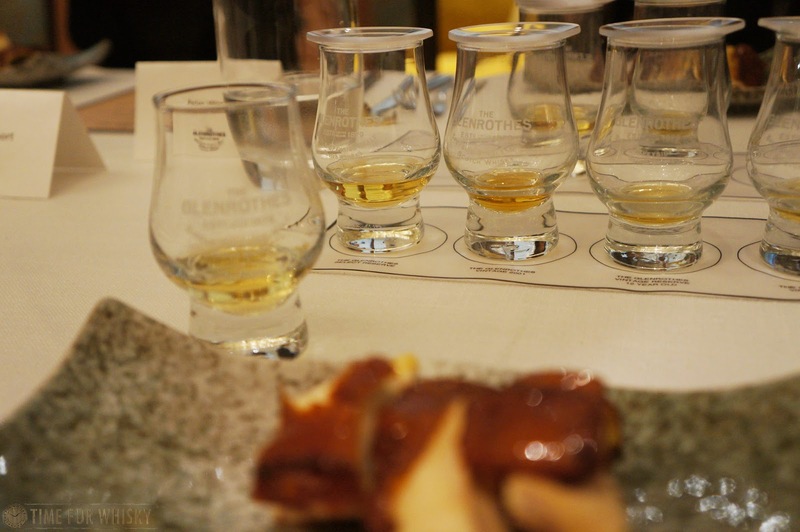 The third (and fourth) dishes were the first to be paired with one of the new whiskies - The Glenrothes Vintage Reserve 12 Year Old. First Pan-fried minced pork and lotus root cake, with truffle seasoning and then Baked squid stuffed with glutinous rice. 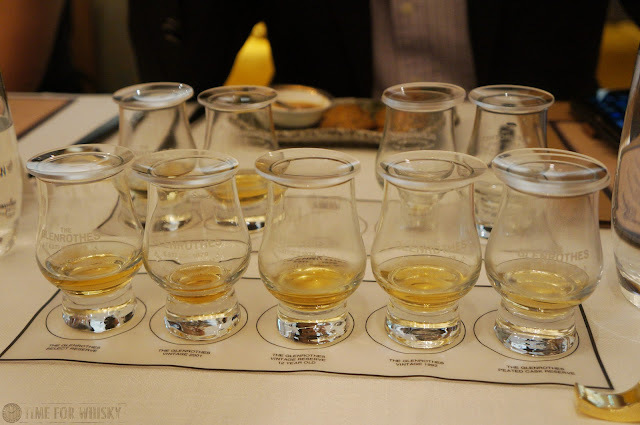 Despite carrying a (12 year old) age statement, Ronnie explained that the whisky is actually comprised of 12 different vintages, the oldest dating back to 1973 (the others being 1978, 1979, 1982, 1985, 1986, 1987, 1998, 2000, 2001, 2002 and 2003). 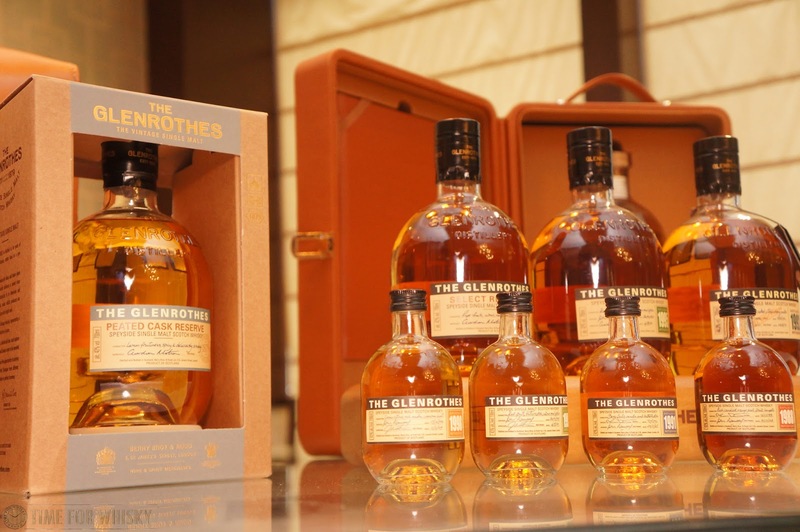 Designed to show the "true character of The Glenrothes", I found it to be quite a decent whisky for the (relatively small) price tag in Hong Kong - $550HKD. Full tasting notes and pairing thoughts can be found below. 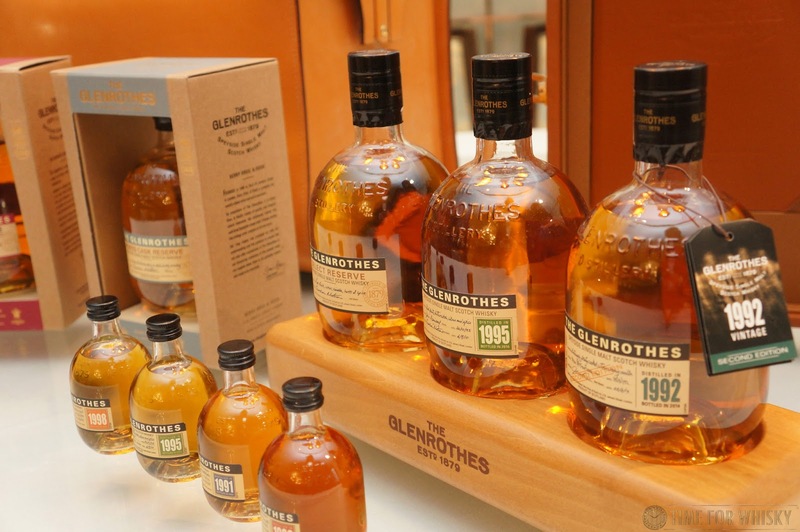 An Asia-only release including whisky from casks dating back to 1973. Nose: Fruity - lots of berries. Strawberries, raspberries. Some sweet, fragrant spice - like a middle Eastern spice souk, but toned down. Palate: Following the nose, the palate showed more berries (strawberries most notably), touches of burnt sugar, and more spice, with a hint of oak. Finish: Long and slightly tannic. Rating (on my very non-scientific scale): 91/100. Not mind-blowingly complex, but a lovely dram to sip and savour. With the truffle-seasoned course I found it emphasised the truffle quite a lot, without producing any conflicting flavours. With the baked squid (which on its own was a little bland), there was a new-found subtle sweetness which worked well. 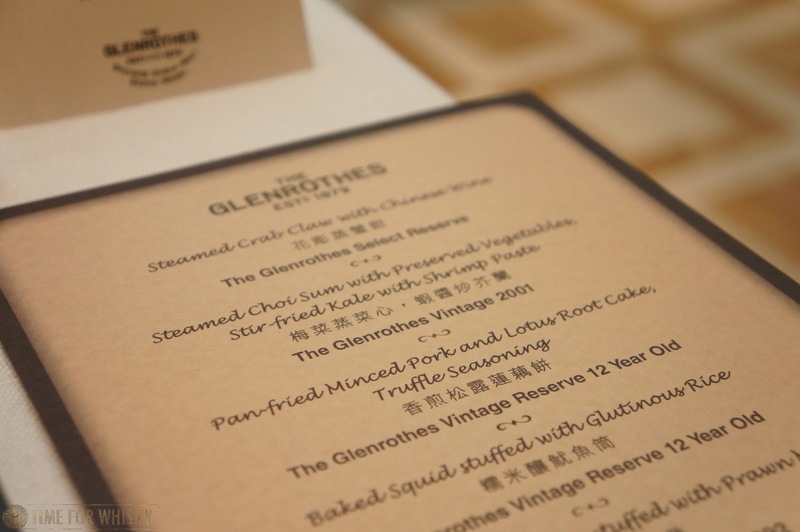 Our fifth course, Braised sea cucumber stuffed with prawn mousse was paired with the oldest whisky served - the 24 year old The Glenrothes Vintage 1992 (note: link is to an older, 21 year old release). 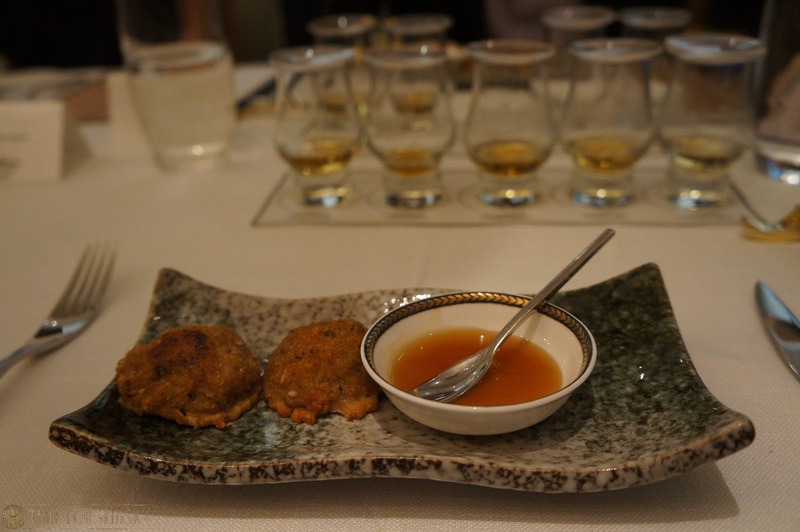 Our second "sea cucumber and whisky" pairing in a week! How did it fare? Very well, with the whisky adding a gentle creaminess to the dish, which seemed to be a theme with the seafood dishes served. Full tasting notes below. Nose: Soapy! Creamy and floral too - lots of Jasmine. 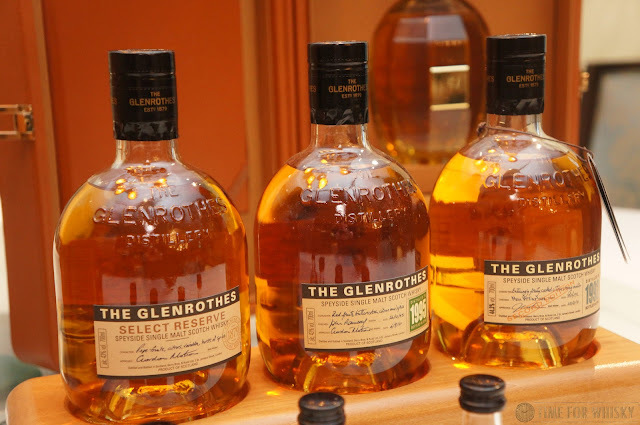 Palate: Rich, creamy, mouthfilling. Lots of floral notes - Jasmine still, and some rose. Hints of red apples. Finish: Long and creamy, with more red apple notes. Rating (on my very non-scientific scale): 93/100. Probably one of the best Glenrothes I've had in recent memory. Sifu's crispy chicken with 5-flavoured condiments was up next, paired with the other star of the show, The Glenrothes Peated Cask Reserve. Released to celebrate the discovery of a connection (way back in 1887) to Bunnahabhain, the whisky is actually 1992 vintage Glenrothes given a brief finish in casks that formerly held (unnamed) peated whisky from an Islay distillery. Nose: Tropical. Custard mixed with mango and peach. Slightly perfumed. Really no discernible peat. Palate: Oh, there's the peat! It's obvious, but not in your face, and it blends well with the (still) tropical notes. There's orange now too. It's an ashy, BBQ style peat, rather than an iodine-esque, seaside peat. Finish: Medium length, oranges, smoke and slight bitteness. Rating (on my very non-scientific scale): 93/100. 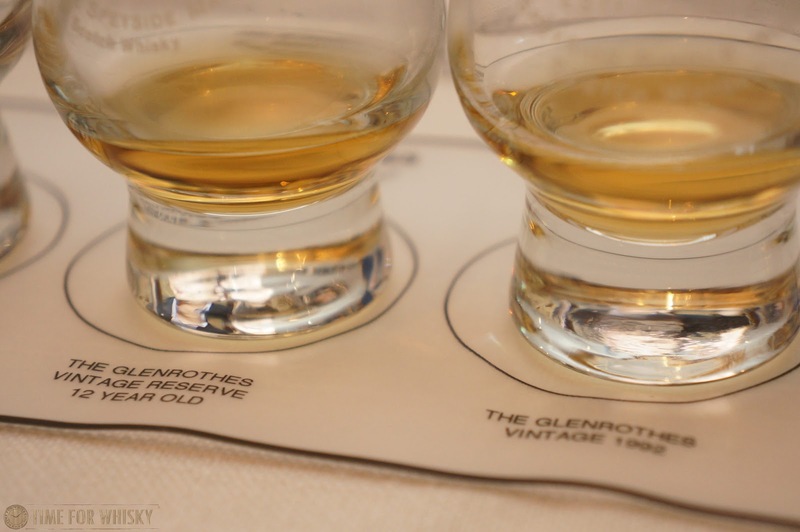 Also probably one of the best Glenrothes I've had in recent memory. 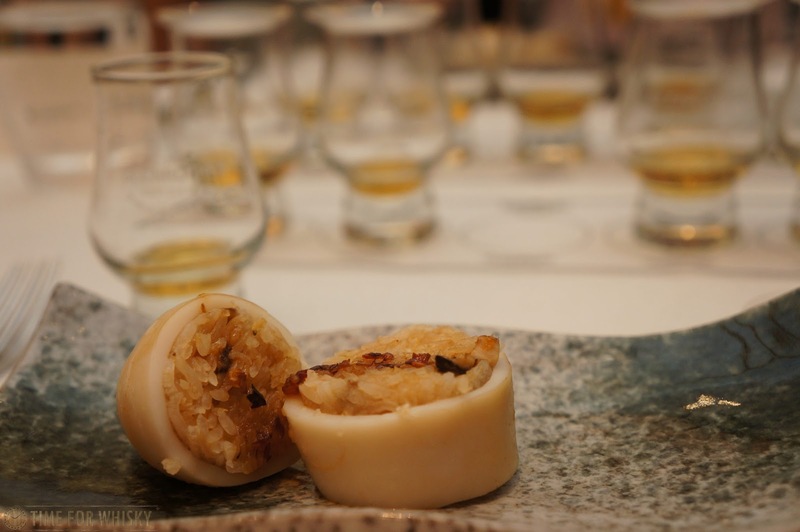 The last two dishes (Lai Bun Fu special fried rice with lobster, abalone with scallop truffle oil and Double-boiled snow fungus and lotus seed) were not paired with any whiskies, but were a fitting end to the meal, which turned out to be a great way to explore a range of The Glenrothes whiskies, including the new Vintage Reserve 12 Year Old and Peated Cask Reserve. Both are available in Hong Kong now. 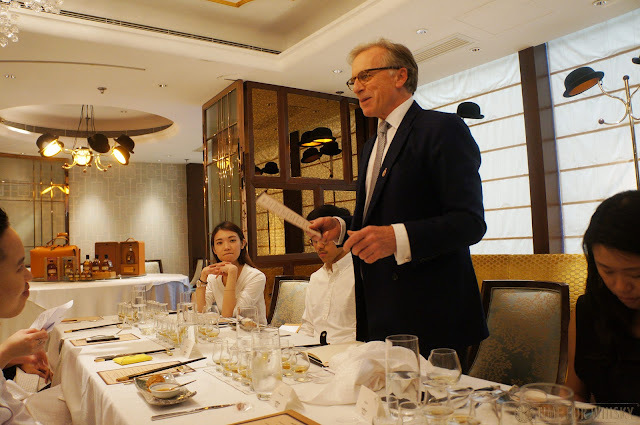 TimeforWhisky.com would like to thank Edrington Hong Kong, Signature Communications, Berry Bros & Rudd and of course Ronnie Cox himself for a wonderful lunch.